If have already thought through your resignation from a board position, then it’s about time you start drafting your resignation letter. You have to submit your resignation letter just so you still act professionally in all aspects toward your company despite your final decision to leave your post. Whatever your reasons for resigning are, make sure you are able to incorporate it in your letter and relay this to your employer. Leaving with a letter is important for the company’s last impression of you. Make it count just like how you made it when you started with your job. These Resignation Letter Templates will help you plot all the information needed in your resignation letter. 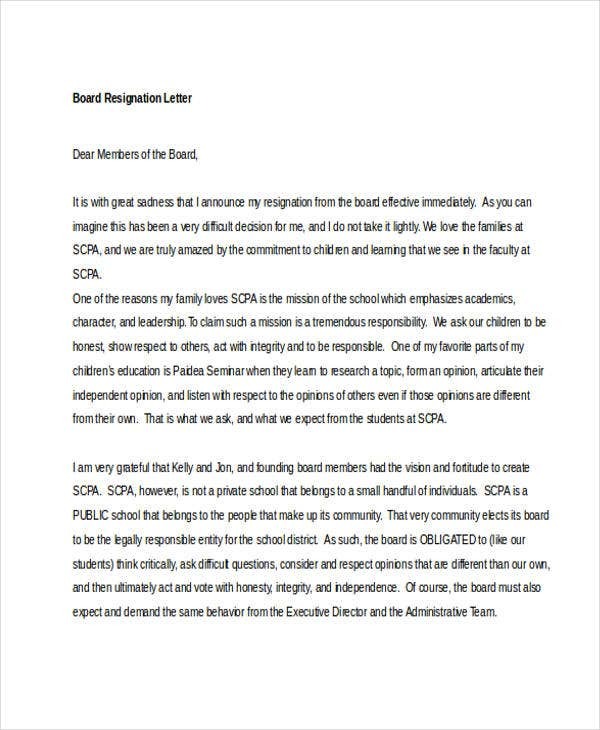 What Is a Board Resignation Letter? A board resignation letter is a more specified resignation letter to be submitted to an employer or co-board members whenever one decides to withdraw from a particular board position. What makes it different from the usual resignation letters is that you are resigning from a position that has collective involvement with the company. 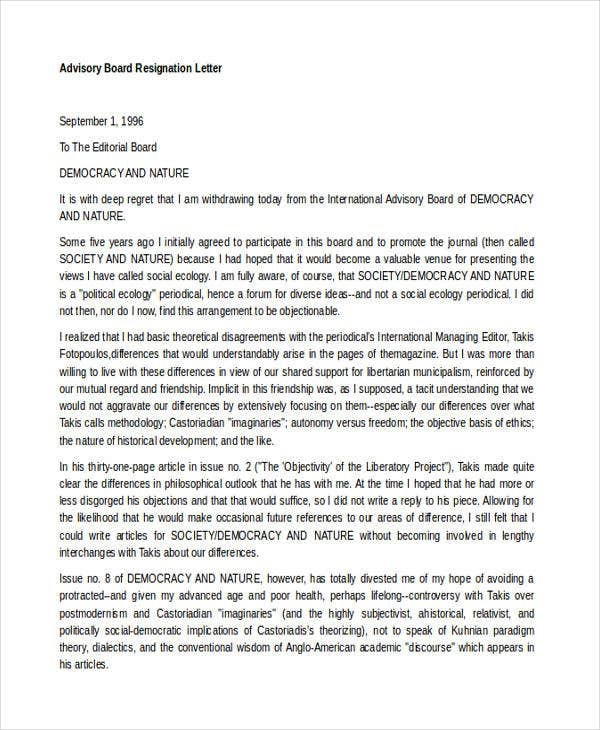 In such type of letter, there are more specific details than usual ones such that of details on whom you address your letter to and the current board organization you were a part of. 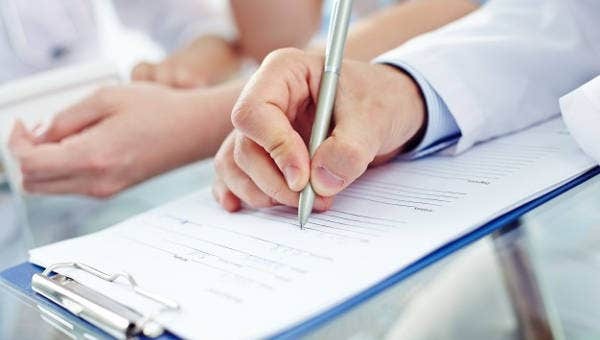 Writing a board resignation letter takes a lot of time to do since you would need to think about what it should contain to make it look presentable. 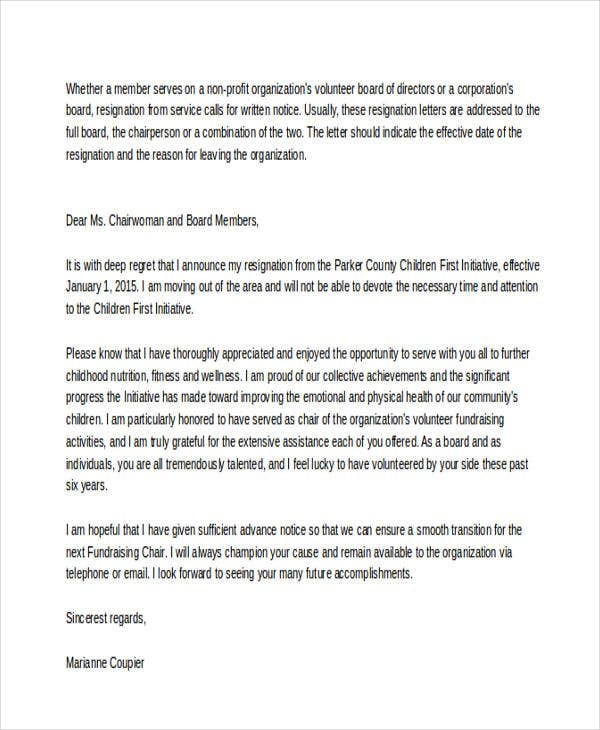 Our Board Resignation Letter Templates could do you a favor. All you’ll have to do is input on the correct information accurate with your situation. We have various types of board resignation letter templates. We have effective Formal Resignation Letter Templates, and we could also provide you for more casual board resignation letters. Check out more of our templates and see if these templates could be exactly what you need! 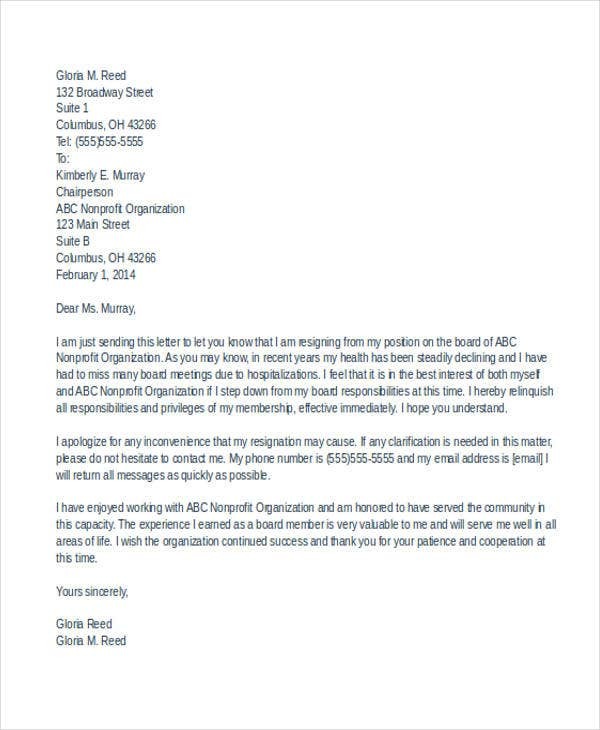 You might to try the Board Membership Resignation Letter Template that could surely explain and relay your intentions well. It consists of a few guidelines that you could follow through and fill up as you go along writing your letter. 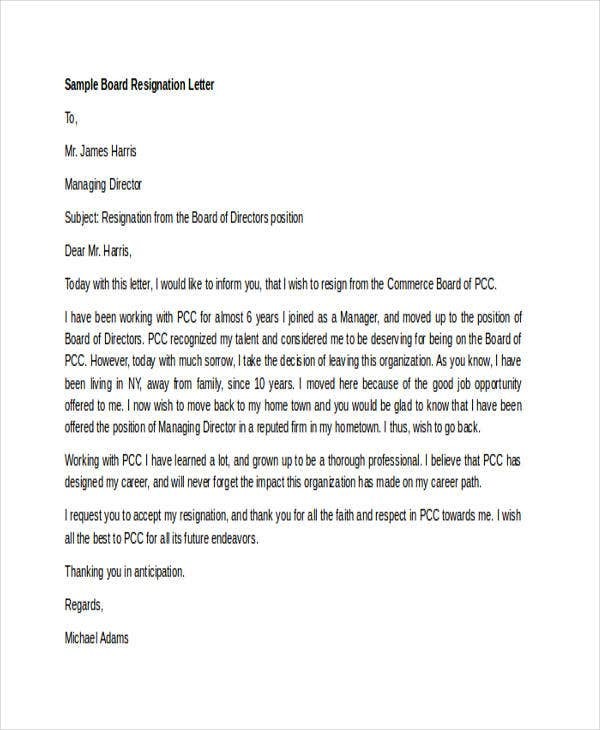 This Board Chairman Resignation Letter Template allows you to fill in minimal and important information to complete your letter. You could download this template and submit a resignation that’s not written in too much elaboration and words. 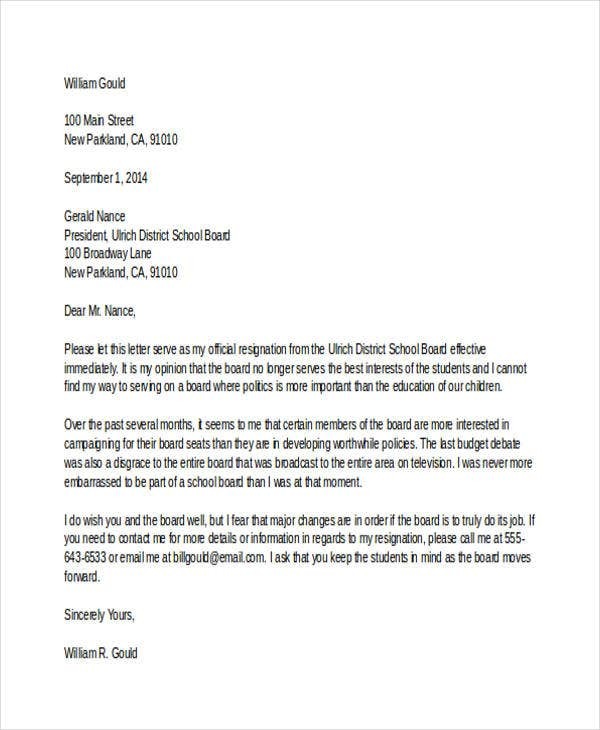 With our School Board Resignation Letter Template, you are guaranteed of a template all done and written with the reasons of your resignation. It’s plain and business letter format helps improve the over all quality of your letter. 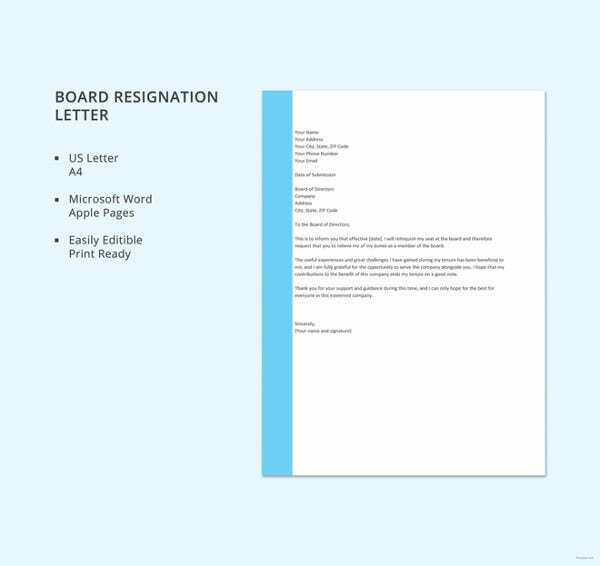 If you aim for a short yet still well-written resignation letter, this Board of Directors Resignation Letter Template already provides you everything. It already consists a few sentences for your reasons, intention to resign, and your appreciation for the company as well. This page only provides for downloadable quality templates that are already well-structured for your convenience. All our templates cater to a variety of preferences for different uses. We also offer you quality content for all sorts of forms, templates, and creative designs for your professional, creative, and business needs.